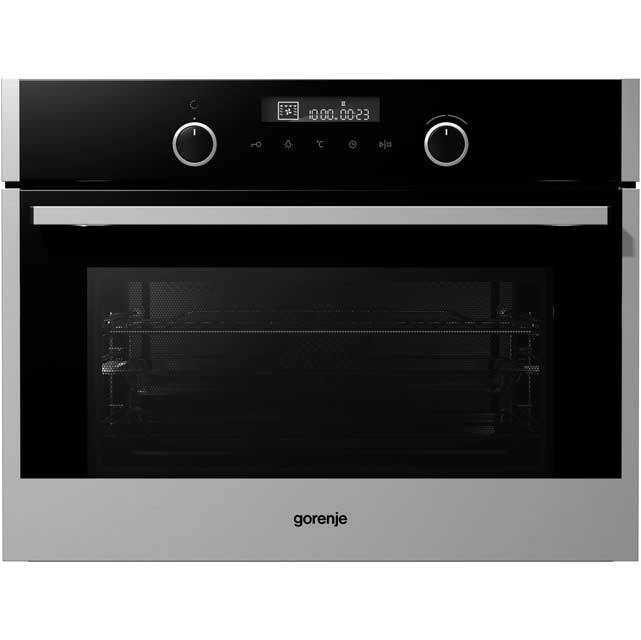 With fabulous features and stylish design, this Gorenje built-in electric single oven would look fantastic in your kitchen. Because it’s multifunctional, you can get creative in lots of ways. 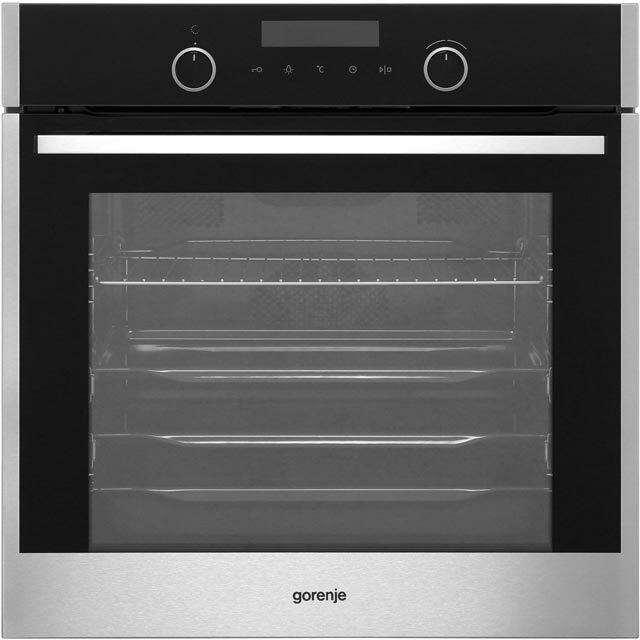 There’s a useful defrost mode for preparing the Sunday roast and fan setting so you can thoroughly cook it along with your vegetables. You can easily feed a large household thanks to this model’s super-spacious 73 litre capacity. And, it has a clever meat probe that monitors the temperature inside meat, letting you know when it’s perfectly cooked. 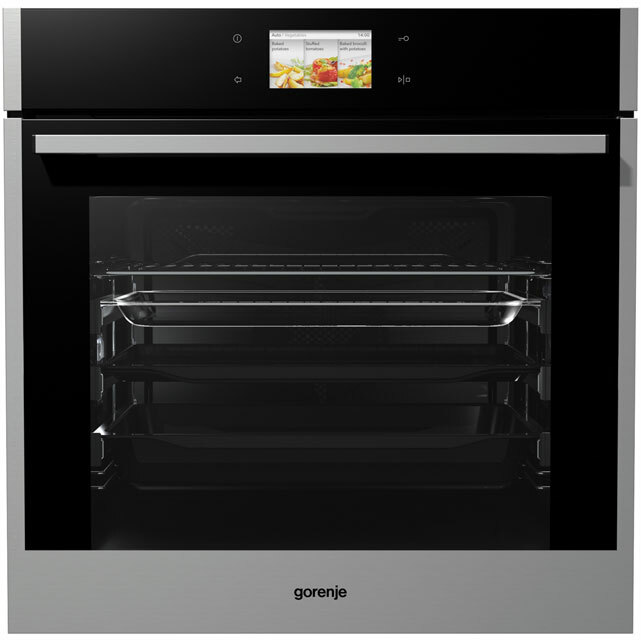 Keeping it clean is effortless too, because the powerful pyrolytic cleaning function burns food residue to ash. 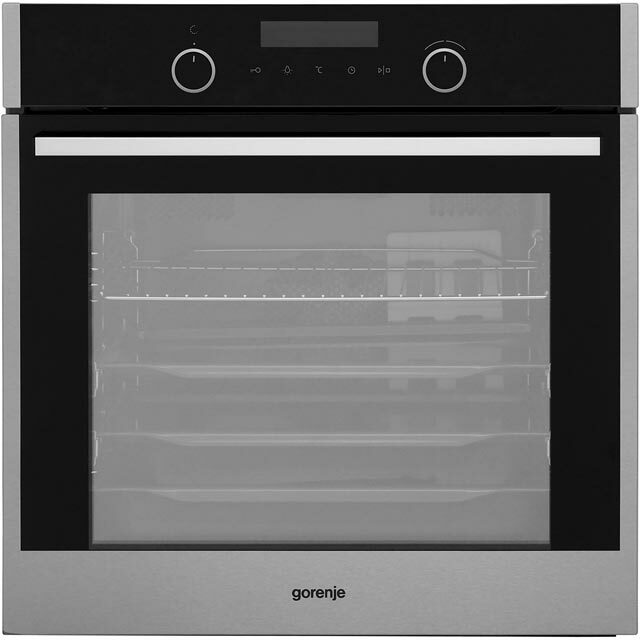 This model is designed to fit at eye level or under a worktop.